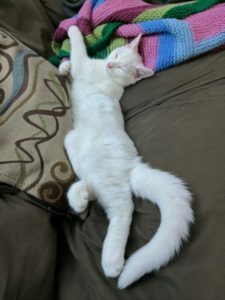 The Story of Our Deaf Cat and Why Deaf Pets are Awesome! I’m Tara, a fashion designer, animal lover, blogger, and hobbyist photographer. I am an anxious depressive who dreams to help end the stigma that surrounds mental illness. I have a wonderful husband and 4 beautiful fur-babies. As a “multi-passionate entrepreneur,” I run this blog as well as an Etsy shop called Tarapparel. Thank you for stopping by and I hope you enjoy watching my journey. What Advice Would You Give Your 15 Year Old Self? Where Have I Been This Time? (c) Tarably Inspired 2018&verbar;Kalon by: Rara Theme &verbar; Powered by: WordPress.